Saturday was such a beautiful, relaxing day. It was one of those Saturdays where the stuff you wanted to get done, did, and then you cook a fantastic meal for your significant other and you, all while in a relaxed state. I love weekends like this. I ran out to Target to buy a couple snacks for the upcoming road trip to Boston. Well, and two things I didn't need, but that's just the Target rule. I then came home, relaxed a bit, chatted with the hubby, painted my toenails outside on the grass because it was such a picture-perfect day, and then went back out to buy stuff for dinner. I'm SO glad I made dinner. The laundry got done, too! How lovely! As soon as I'm finished cooking a meal that turned out really well, it just makes me want to keep cooking great recipes! Or maybe it's just the simple act of swirling my wooden spoon in cream and gooey cheese. I get giddy when that occurs because I just know something special has been made and will be made again and again. I thought about this incredible Spicy Mac n' Cheese from the awesome Ree Drummond after staring at this recipe and her beautiful photos on her blog. I was going to leave it be and have just that as our meal. I mean, Ree is hardly ever mistaken and she listed that as one of her serving suggestions. It sounded quite perfect to me. 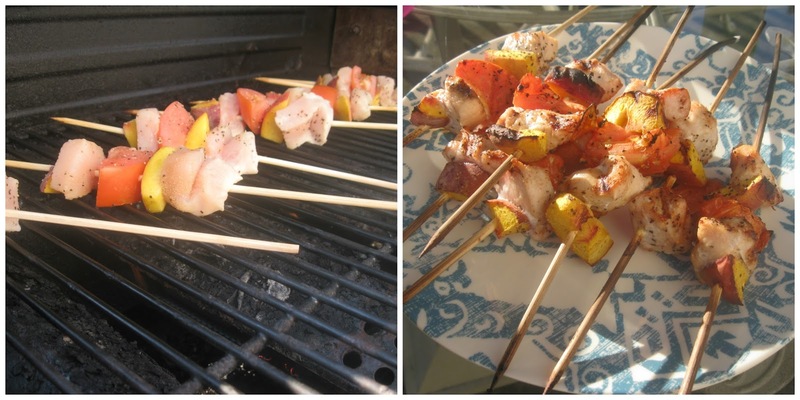 And then these kabobs happened. Chicken, peach and tomato kabobs, to be exact. Wacky combo? Maybe. But I had one peach left and one tomato. I figured if they are on the grill, this couldn't be bad. I mixed together the chopped tomato and peaches in a little salt and pepper with a dash of cinnamon for sweetness. The flavor was outstanding! These were so full of flavor and juicy and devoured within ten minutes by the two of us. I made seven kabobs. Yeah. Insane. And then add its side dish of this creamy and divine mac n cheese and it's like Summertime exploded in your mouth. It was beautiful. My photos do not compare to Ree's, but I wanted to show you how I worked my own magic on this insane dish! The only ingredient I left out was the jalapeno. I love jalapenos, but I figured this would already have an awesome kick to it, and I was right. The red pepper and chili's and pepper jack cheese alone was just the right amount of spice! Grating cheese is a great arm workout. 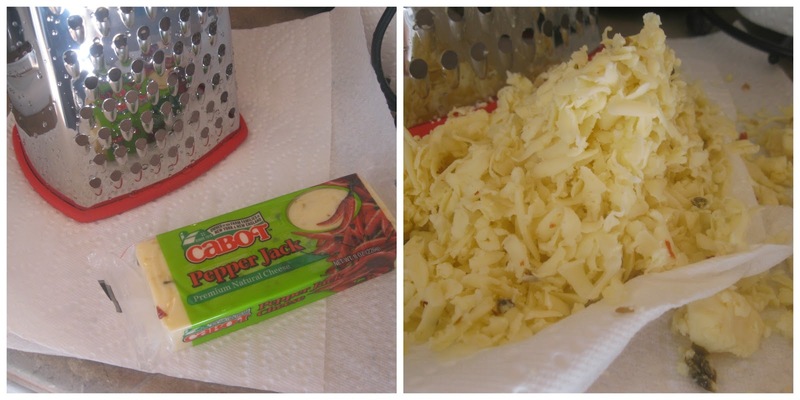 I prefer to grate cheese most of the time when I cook. It just seems so much more fresh to me. Plus it's fun! And look at all that cheese that comes out! Ree mentions that she has used elbow macaroni in the past, but Cavatappi just seems much more magical. I concur. Save the classic elbows and mac for a quicker meal and preferably on a rainy day. This is still fairly quick to prepare; just a drop more of elbow grease is required. Oh and the best part? Leftovers!! Just make the entire box of the pasta. You have a great meal for at least two more nights; unless you eat it all in the same night which probably wouldn't be too hard. I had to immediately eat some ice cream in order to not go for more pasta. Make this soon, pretty please? Happy Tummies and Weekend to you!